In a new filing with the U.S. Securities and Exchange Commission, Elliott Management, led by Paul Singer, disclosed increasing its activist position in CorMedix Inc. (NYSEMKT:CRMD). The stake was raised to 2.37 million shares from 1.50 million shares that Elliott Management held at the end of the first quarter of 2015. The stake is equal to 6.6% of the company’s outstanding common stock. CorMedix Inc. (NYSEMKT:CRMD) is a pharmaceutical company engaged in the development and commercialization of therapeutic products for the prevention and treatment of cardiorenal and infectious diseases. 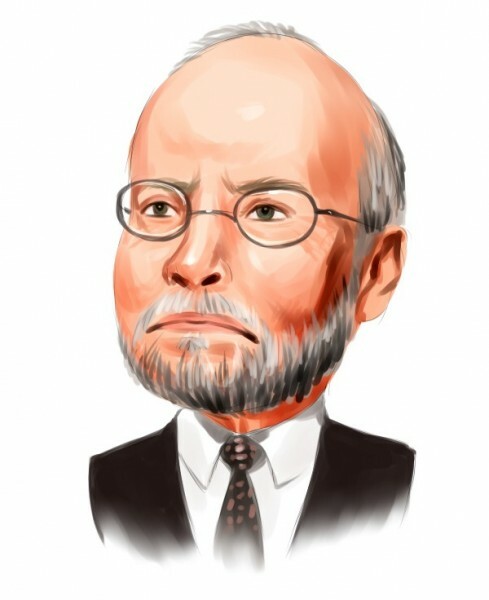 Elliott Associates was founded by Paul Singer in 1977 and stands as one of the oldest hedge funds in operation in terms of continuous management. Elliott Associates, along with Elliott International, is collectively known as Elliott Management Corporation. The value of the fund’s public equity portfolio stood at around $8.12 billion at the end of March 2015. The latest 13F showed that, during the first quarter, Elliott Associates had a strong focus on the Basic Materials, Technology, and Services sectors. Its top holdings, in terms of value as of the reporting period were Hess Corp. (NYSE:HES), Juniper Networks Inc. (NYSE:JNPR), and EMC Corporation (NYSE:EMC). Most investors don’t understand hedge funds and indicators that are based on hedge funds’ activities. They ignore hedge funds because of their recent poor performance in the bull market. Our research indicates that hedge funds underperformed because they aren’t 100% long. Hedge fund fees are also very large compared to the returns generated and they reduce the net returns experienced by investors. We uncovered that hedge funds’ long positions actually outperformed the market. For instance the 15 most popular small-cap stocks among funds beat the S&P 500 Index by more than 65 percentage points since the end of August 2012. These stocks returned a cumulative of 123% vs. a less than 58% gain for the S&P 500 Index (read the details). That’s why we believe investors should pay attention to what hedge funds are buying (rather than what their net returns are). New Jersey-based CorMedix Inc. (NYSEMKT:CRMD) is a commercial-stage pharmaceutical company, with a market cap of $107.9 million. Last month, the company announced that it plans to begin the first Phase 3 study for its lead product Neutrolin in the fourth quarter of 2015. The Phase 3 clinical study is designed to compare Neutrolin to heparin in an estimated 633 patients in hemodialysis being monitored for catheter related bloodstream infections (CRBSI). The study will be led by Dr. Michael Allon, from Department of Medicine, University of Alabama. Neutrolin is CorMedix’s first commercial product in Europe. It offers a catheter lock solution for the prevention of catheter related bloodstream infections and the maintenance of catheter patency in tunneled, cuffed, and central venous catheters used for vascular access in hemodialysis patients, according to CorMedix Inc. (NYSEMKT:CRMD).